In my role as a medical expert in product liability lawsuits against drug companies, judges have empowered me to dig into the otherwise secret interiors of drug company data vaults. The following observations have been generated during my forensic investigations and have been documented in my books and scientific articles. Published articles about psychiatric drugs frequently fail to reflect the actual results of the study. After the FDA rejected an antidepressant clinical trial for failing to demonstrate effectiveness, the pharmaceutical company authored a paper based on the same study that was manipulated to show a positive outcome. In another example, a major journal editor was complicit with a drug company in publishing an article about a benzodiazepine tranquilizer that emphasized its supposed effectiveness at six weeks. But the study had lasted an additional two weeks, at which time many of the patients had become addicted to the drug and were suffering from greater than before starting the medication. In the 1980s, a drug company conducted an in-house review showing that its soon-to-be approved antidepressant increased the suicide attempt rate in adults 6-12 times compared to placebo. The report remained secret until I unearthed it several years later in a legal case. When I informed the FDA, the agency showed no interest in it. 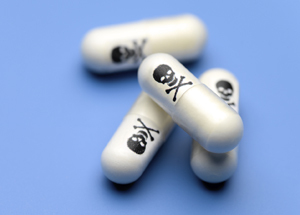 When pharmaceutical corporations have received reports of suicide related to their drugs, more than one has changed the identifying description of the report from “suicide” to “no drug effect,” “depression,” or “emotional liability.” This sleight of hand made the reports invisible to the drug company and the FDA when looking for cases of suicide. In one drug company file, I found an internal memorandum from an employee to his bosses expressing shame about this self-serving misreporting. The employee asked rhetorically how he could explain these actions to “a judge, to a reporter or even to my family… ” Nothing changed. Too many patients were dropping out of the clinical trials for an antidepressant due to insomnia and agitation. So a top executive sent out a secret memo illegally allowing patients in the study to be given tranquilizers. When the FDA found out, it nonetheless allowed the company to use the fraudulent studies to gain approval for the drug. Doctors and patients had no idea that the drug was so over-stimulating it could only be approved in combination with dangerous addictive tranquilizers. There is no simple remedy for drug-company falsification of data and scientific reports. We can exert political pressure to strengthen the FDA; but to strengthen the FDA we must go up against… the FDA itself. Unlike medical experts in product liability suits, the FDA does not examine the company’s data-gathering and culling process. More like a lapdog than a watchdog, it rarely challenges the validity of drug company data. To strengthen the FDA, we must also go up against NIMH, the AMA, the American Psychiatric Association and multiple other interests groups closely tied to the drug companies. At present, most drug company records are treated as proprietary secrets. As a public health measure, drug companies should be required to make public all of their internal documentation concerning any drugs that begin the FDA approval process. In the meanwhile, as individuals we need to be skeptical about pharmaceutical claims for the safety and efficacy of their products. Be aware and be wary, especially in the arena of psychiatric medications, and seek non-drug approaches to healthcare whenever possible. Warning: Do not abruptly stop psychiatric drugs. Especially after months of treatment, withdrawal can be dangerous, and should be done cautiously with experienced clinical supervision and family or peer support.